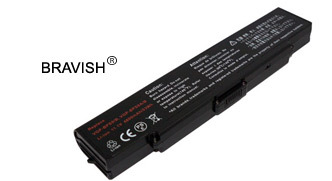 Description Sony VGP-BPS9 Batteries are specifically designed for sony laptop. We offers a complete line of sony batteries and compatible replacements for most laptop models,Our replacement sony VGP-BPS9 Batteries are made with high quality parts and are guaranteed to meet or exceed the original equipment manufacturers specifications at a reduced price. All sony VGP-BPS9 notebook batteries are tested for 100% quality control assurance. Remark You will be required to install a non-hazardous program to ensure the battery be 100% compatible with your laptop. This program will update the underlying device driver of intelligent lithium battery, including the BIOS. Please read the instruction manual carefully before you start to install the program.